The 2014 Genie Customer Appreciation night “Taking you Higher, 2014” proved to be the night of nights for the Australian and New Zealand Hire Industry. 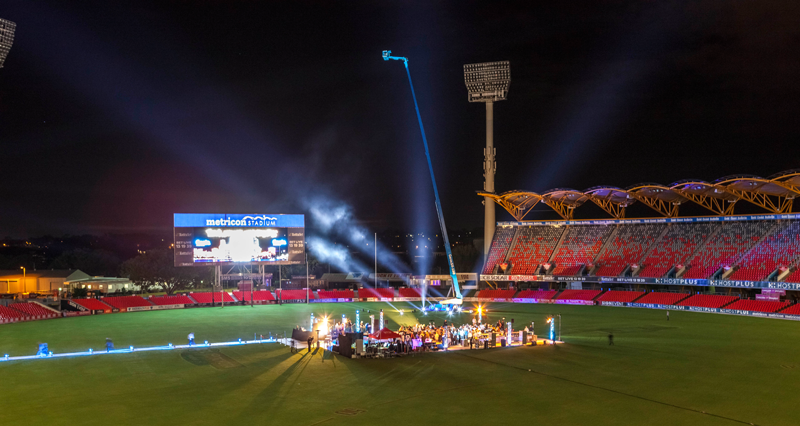 The once in a lifetime dinner was staged in the middle of the playing field at Metricon Stadium where Genie delivered a memorable night of glittering proportions. The highlight of the function was the launch of the Genie® SX-180 boom lift. Fittingly the official Australian and New Zealand launch of the latest and tallest super boom in the Genie fleet was conducted before the very people who make Genie great... our customers. Accompanied by a dazzling show of spotlights, fireworks, music and an account of achievements by Genie, the SX-180 was raised into the night sky to its full, towering height of 180 feet, well above the stadium lighting towers. Brad Lawrence, General Manager of Genie Australia, introduced the Genie SX-180 boom lift stating that “this model represented a real game changer for our industry." “Already we have sold five of these babies and there are more orders to come,” said Brad Lawrence. President of Terex AWP, Matt Fearon, was present at “Taking You Higher, 2014” and addressed the assembled Genie customers, speaking in glowing terms about the Company's position in the market and buoyant outlook. “The launch of the SX-180 demonstrates the absolute confidence we have in the organisation,” Matt Fearon said. Metricon Stadium is the home ground for the AFL team, the Gold Coast Suns. On arrival guests enjoyed a behind the scenes experience in the players’ inner sanctum for welcome drinks. The Genie guests were then ushered down the home players race, bursting through an AFL style banner as the cheerleaders cheered the guests onto the field for a sumptuous carvery dinner.